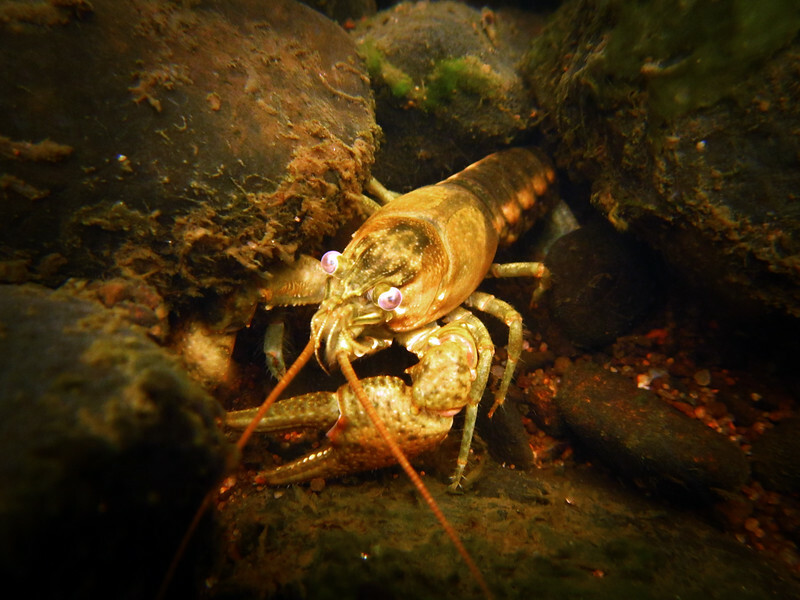 In a New Light: Under the Surface 2015 - Jaden, 16 - "Crayfish"
"I like this picture a lot because I was just floating along and saw movement and then waited and this crayfish popped his head out. The eyes of the crayfish are the first thing that draw me to this. This makes me fell as peace. surface." About Jaden: "My name is Jaden and I'm 16 years old and from Marshfield, WI. I came to Northwest Passage because for the past few years I've struggled with drugs and addiction. Before coming here I overdosed twice within a week and was close to death. One day I hope to live in Miami and be a welder and eventually become and underwater welder. i also hope to design my own clothing line. underwater photography for me is an escape from everything else. Under the water it's a whole different world and it's really peaceful and all I have to worry about is taking it all in. it also gives me the chance to share the pictures with people who never see that kind of stuff."